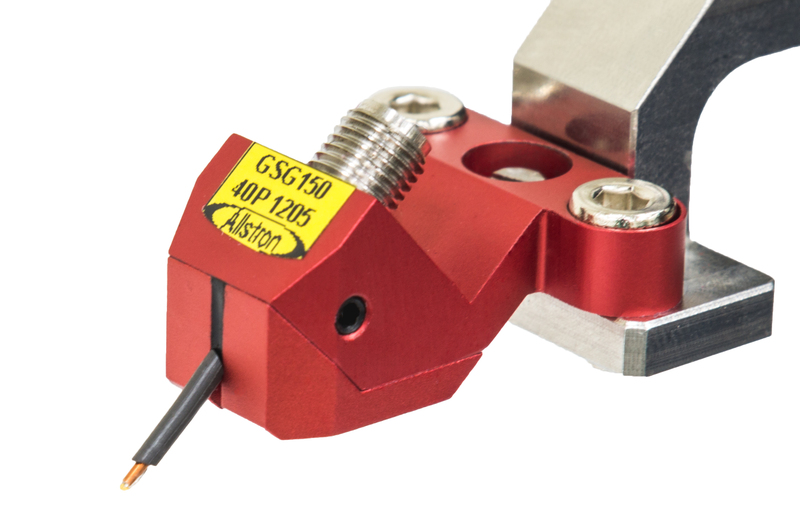 ASP probes are unique combination of the micro-coaxial cable based probe technology and MEMS fabricated probe tip. A perfectly matched characteristic impedance of the coplanar probe tips and optimized signal transmission across the entire probe down to the pads of the device under test (DUT) results in excellent probe electrical characteristic. At the same time, the unique design of the probe tip provides minimal probe forward skate on any types of pad metallization material. And, therefore, achieving accurate and repeatable measurement up to 110 GHz and making is suitable for probing on small pads with long probe life time and lower cost of ownerships. ASP probes are available as 40 GHz (2.92 mm connector), 50 GHz (2.4 mm connector), 67 GHz (1.85 mm connector) and 110 GHz (1 mm connector) models, with GSG as well as GS/SG tip configurations.